Multi-family facilities would appreciate having dryers in their condo, hotel, university and common laundry rooms . And a broken dryer that won’t heat, makes loud noise or won’t start at all can let them down and make feel like the property manager doesn’t care. Electric – These dryers cost a little less up front and are also easier and less expensive to install. Exhaust requirements are minimal and concern only steam venting. Gas – Dryers operate on natural gas or propane. 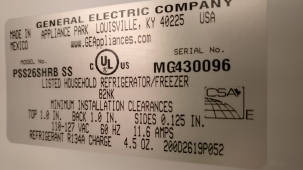 They cost a bit more up front than electric dryers but are less expensive to run over the lifetime of the appliance. Special venting is required. It doesn’t matter what kind of dryer you have, if it’s broken, won’t heat, makes loud noise, or won’t start – call us immediately! Need commercial dryer repair service? Our company specializes on commercial dryer repair. 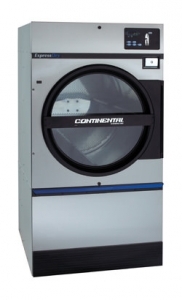 Our experts repair all commercial dryers; we don’t look at the variety of manufacturers and models. We are happy to help and deal with any machines to make the life of the people from the plant easier. As you understand, we work in this filed and try to be the best in this direction. We carry out repair of dryers at commercial premises. Professional and industrial drying machines are repaired in spite on the place of its location. Our masters are not afraid of noise, crowds or something else which take place in the huge factories or enterprises. Only in exceptional cases where it is impossible to carry out the troubleshooting on the spot, then the equipment is delivered to the service center. But usually we come to the client and run the diagnostic. Almost in every case we know what to do and repair dryers in your location. The dryer can be broken down for a variety of reasons. Only a qualified technician is able to determine the cause of failure and eliminate it. For this pre-diagnosis is performed. Only after the research of the elements of dryer, the master determines the complexity and cost of repairing process. The cost of our services is one of the most accessible and democratic. You can also contact us for free using the phone number or entering online application. Commercial dryer repair cost is appropriate and affordable. Our company is engaged in the repair of commercial drying machines from different manufacturers. Currently we repair most models which are available on the market today. This ensures complete recovery efficiency of any device. Our company offers a full range of services for the respective technology. We not only carry out repair of the equipment, but also can prevent premature damage to the any commercial dryer.